At the Shams Law Firm, P.A., we have extensive practice experience to offer businesses and individuals in central Florida. Maurice Shams, our senior attorney, has been in practice for nearly 50 years. 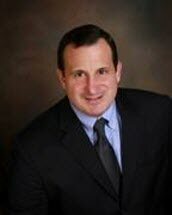 Attorney Sidney Shams has been licensed since 1990. Both of our lawyers are AV-rated under Martindale-Hubbell's Peer Review Rating System*. We seek to build long-term relationships with our clients. We believe that the foundation of an effective attorney-client relationship is trust. We will keep you fully informed of all developments in your case and will always keep you apprised of your options, as well as your likelihood of success. We understand how important it can be to talk with legal counsel and work hard to be available and accessible when you call. Our lawyers offer counsel to small and also medium-sized businesses, handling business formation and contract matters, as well as business planning. We focus our real estate practice on commercial transactions, but also handle zoning and land use disputes, as well as commercial development. We focus on issues related to estate planning and probate administration, business and commercial law, real estate and tax law. We will help you put an estate plan in place that will facilitate the orderly distribution of your property at your death. We offer counsel to administrators and executors, so that you can successfully complete the tasks required by the probate court and settle the estate of a loved one. We help you take the right steps to protect estate assets from creditors, and we will represent you in probate litigation, if necessary. In our tax practice, we protect the rights of individuals and businesses in state, local and federal tax controversies, including income, sales and gift tax controversies.